Administrative Law Judge (ALJ) Rebecca Freie, Office of Administrative Hearings (OAH), State of California, heard this matter July 26-27, 2011, and August 15-18, 2011, in Oakland, California. Student was represented on July 26-27, 2011, by an advocate, Elizabeth Celestre (Advocate) and by his mother (Mother). Student’s father (Father), Mother and brother (Brother) represented Student from August 15-18, 2011, as the Advocate had withdrawn from representing Student on August 5, 2011.1 Mother was present each day of hearing with the exception of one afternoon, when she was absent. Father was present for the hearing dates of August 15-18, 2011. Brother was present for part of July 27, 2011, and from August 15-18, 2011. 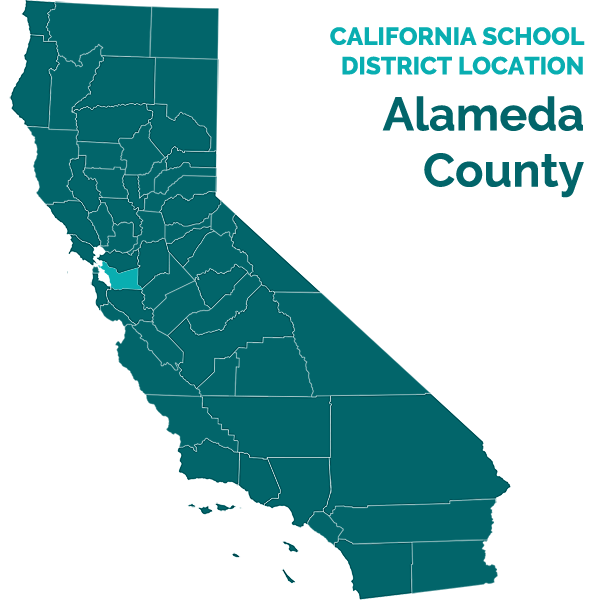 The Oakland Unified School District (District) was represented by Lenore Silverman, Attorney at Law. John Rusk, Special Education Compliance Coordinator for the District, was present throughout the hearing as its representative. e) Failing to provide him with an adequate transition plan that would meet his unique needs? Is the District entitled to conduct a triennial assessment of Student without obtaining parental consent? 1 Mother and Father are referred to collectively as Parents. 2 Amended complaints were subsequently filed by the District. 3 For the record, the Student’s closing argument is designated as Student’s Exhibit S8, and the District’s closing argument is designated as District’s Exhibit D-18. Portions of Student’s closing argument contain factual assertions that were not presented at the hearing. Those portions of the closing argument were not considered by the ALJ. 4 The issues are those agreed upon by the parties at prehearing conferences on July 25, 2011, and August 10, 2011. However, they have been reordered and slightly reworded for clarity of this decision. 5 This issue asks whether the District failed to implement the IEPs of April 25, 2008, and September 29, 2009, and if it did so, whether it was required to provide Parents with prior written notice. Student contends that during the 2008-2009 and 2009-2010 SYs, the District failed to provide Parents with prior written notice when it failed to assess him in the areas of reading difficulties and attention deficits. Further, he claims that the District failed to provide them with prior written notice when it failed to conduct an FAA and develop a BIP for Student, and failed to design a program that would meet his unique needs and provide him with educational benefit. Student also contends that prior written notice should have been given to Parents when the District decreased special education services to him, specifically the services of a resource specialist program (RSP) teacher. Student claims that he was denied a FAPE during the 2008-2009 and 2009-2010 SYs because the District failed to assess him in the areas of attention/executive functioning, and sensory motor deficits. He alleges that he was denied a FAPE because the District did not hold an IEP team meeting at the beginning of the 2008-2009 SY, and did not hold timely annual IEP team meetings in 2009 and 2010. In addition, he contends that he was denied a FAPE because the District failed to conduct an FAA and develop a BIP, and also failed to design a program that would meet his unique needs and provide him with educational benefit, specifically by providing him with a multi-sensory reading program. Also he alleges that the district failed to provide him with an adequate transition plan in his IEPs. As a result of all of the District’s alleged acts and omissions, Student failed many of his classes, and did not meet most of the goals in his IEPs for both school years. In response to the District’s issue, conducting a triennial assessment of Student, he claims that consent has been refused because the District cannot be trusted to conduct assessments that will provide valid information about his needs. The District contends that Student did not require any of the assessments he believes he required during the 2008-2009 and 2009-2010 SYs, and therefore they were not required to provide Parents with prior written notice. Further, Parents never requested that Student be assessed in these areas. The District also claims that Student did not need an FAA or BIP, or a multi-sensory reading program, and that it provided him with a program that met his unique needs, and provided him with a FAPE for both school years. Further, the District claims that it did not decrease services to Student. Rather, Student’s chronic attendance problems, i.e., cutting classes, made it impossible to provide him with the RSP services, and also accounted for his failing grades in multiple subjects. The District claims that it was not required to hold an IEP team meeting in the fall of 2008, and although there was a “slight” delay in holding the annual IEP team meeting that should have occurred in the spring of 2009, Student was not denied a FAPE due to the untimeliness. Finally, the District asserts that it was not required to provide Student with a transition plan for the 2008-2009 SY, because he was not turning 16 that school year, and that the transition plan for the 2009-2010 SY met all legal requirements. In regards to the District’s issue, it claims that it is entitled to conduct a triennial assessment of Student, and that the assessment should have been conducted in the spring of 2011. However, Parents have refused to consent to that assessment, and as a result, the District has been forced to file a complaint so that the assessment can be conducted without parental consent. When the hearing commenced on July 26, 2011, the Advocate stated repeatedly that Student did not intend to present any testimony or documentary evidence at hearing. On July 26, 2011, the parties presented opening statements. Mother was sworn in as a witness prior to giving her opening statement, and this was considered as testimony. On July 27, 2011, the parties exchanged some documents and discussed, on the record, possible witnesses for Student. Counsel for the District then requested a continuance to prepare for witnesses who had not previously been disclosed by Student, and a continuance was granted. Student did not object. At the hearing on July 27, 2011, the Advocate asked whether the ALJ would permit the introduction of assessments of Student that were conducted after his due process complaint was filed. Subsequently, Parents and Brother also asked that these assessments be admitted, and that the preparers of the assessments be permitted to testify. Both the District’s and Student’s closing arguments were received by OAH prior to 5:00 p.m. on September 23, 2011. The District faxed a motion to exclude Student’s closing argument on September 23, 2011, at 5:35 p.m., claiming that Student had not sent his closing argument to the District. OAH sent a copy of Student’s closing argument to the District on September 26, 2011. Student filed a response to the motion to exclude on September 28, 2011. In his response, Student credibly states that his closing argument was faxed to District’s attorney at the same time it was faxed to OAH. The District was not prejudiced by a delay in receiving Student’s closing argument. Accordingly, the motion to exclude Student’s closing argument is denied. 6 Dr. Howard Friedman is a neuropsychologist. He obtained his Ph.D. in psychology in 1978, and did post-doctoral work and training in the areas of neuropharmacology, psychopharmacology, neuropsychology and clinical psychology. He was licensed as a clinical psychologist in 1983. He has assessed more than 8,000 subjects, including approximately 2,000 adolescents. 1. Student is now 17 years old and resides with Parents within the boundaries of the District. He became eligible for special education services as a second-grader in 2002 when he was found to have a specific learning disability with deficits in the areas of visual-motor integration and auditory analysis. These disabilities impacted him academically in the areas of reading, writing, spelling and math. Student remains eligible for special education services based on his continuing deficit in visual-motor integration.7 Student has at least average to above average cognition. 3. Under both the IDEA and State law, students with disabilities have the right to a FAPE. A FAPE means special education and related services that are available to the student at no charge to the parent or guardian, meet state educational standards, and conform to the student’s IEP. The primary vehicle for the delivery of a FAPE is an IEP. School districts create an IEP for each disabled student through a cooperative process involving student’s parents and school officials who form an IEP team. (1) impeded the child’s right to a FAPE; (2) significantly impeded the parent’s opportunity to participate in the decision-making process; or (3) caused a deprivation of educational benefits to the student. 7 Auditory analysis ceased to be an issue when he was assessed in 2005 and 2008. 8 There was no evidence as to the physical proximity of the two high schools on the McClymonds campus, but there was testimony that there was rivalry between the two high schools. 6. A child must be assessed by a school district in all areas related to a suspected disability. Once a child is found eligible for special education, he must be reassessed in those areas related to his disability, as well as in any other areas of suspected disability, at least every three years. Parents contend that the District should have assessed Student in the areas of reading disabilities, attention deficits, and auditory processing. Parents contend that failure of the District to provide them with prior written notice that they would not assess him in these areas constitutes a procedural violation that significantly impeded them from participating in the IEP process, and also denied Student a FAPE and educational benefit. 7. Student contends that the District should have provided Parents with prior written notice because he was not assessed in the areas of reading difficulties and attention deficits, and thus he was denied a FAPE and educational benefits, and Parents were significantly impeded in participating in the IEP process. 8. Student’s deficits in the area of visual-motor integration affect his ability to read fluently, and also impact him in the areas of math, spelling and writing. When Student was first found eligible for special education, he was pulled out of class several times a week to participate in a District reading program which used the techniques of Lindamood Bell. This was a multi-sensory reading program. In June 2003, when he was in third grade, academic testing revealed that Student had made marked progress in all areas, was close to grade level in some areas, and no more than one-and-one-half grade levels behind in others. However, this program ended after Student completed fourth grade. 9. When Student was assessed in 2005, he was in the fifth grade. On the Wide Range Achievement Test, Third Edition (WRAT-3) Student had a standard score of 93; his reading scores showed that he was reading at a fourth grade level. On another test, the Brigance,11 Student achieved a standard score of 94 in word recognition, and 92 in passage comprehension.12 These scores placed Student in the 29th through 34th percentile for students his age, depending on the assessment. 10. When Student was assessed in the eighth grade in February 2008, his standard score in reading was 80 on the WRAT-3. In April 2008, Student was administered the fourth edition of the WRAT (WRAT-4) and his standard score in reading was 84. Student was also administered tests from the Woodcock-Johnson Tests of Achievement, Third Edition in February 2008. Student’s standard score was 80 on the subtest of letter-word identification, and on the reading fluency subtest his standard score was 74. These scores reflected grade levels of 4.5 and 3.4 respectively, and indicated that he had made little progress in reading between the fifth and eighth grades. 11. The evidence established that Student was tested in areas that might provide information about his reading disability when the District conducted its triennial evaluation in 2008. When he was administered the Differential Ability Scales – Second Edition (DAS2) his general conceptual ability was average, as was his processing speed, although he was slightly below average in this area. Student was also administered the Test of Auditory Perceptual Skills – Third Edition (TAPS-3), and this showed weakness in the phonological segmentation area, where his score was in the borderline range which could affect his reading. However, his scores in all other areas were in the average to above average range, and this demonstrated that learning aurally was a strength. Finally, when given the Bender Gestalt Visual Motor Integration Test – Second Edition (Bender Gestalt-2), his score in the copy subtest was 81, with the mean 100 and a standard deviation of 15 points. This result reflected Student’s weakness in the area of visual-motor integration. 12. Student’s deficits in visual-motor integration and phonological segmentation impact his reading. However, during the 2008-2009 and 2009-2010 SYs, Parents did not request additional assessment of reading disabilities, nor was there evidence that Student required further assessment in this area. Further, as will be discussed later, the evidence established that Student showed a marked improvement in reading fluency when he was tested at the beginning of the 2009-2010 SY, which belies Parents’ contention that he required further assessment in reading that school year. 13. Mother believes that Student required an assessment in the area of sensory motor deficits because he has difficulty tying his shoes and his poor handwriting. However, the evidence did not establish that Student required further assessment in this area. His poor handwriting was explained as resulting from his visual-motor integration problems, and there was no evidence that his difficulty in tying shoes was a manifestation of serious fine motor deficits, rather than an individual minor difficulty. Further, because he was a high school athlete, the evidence established that Student did not have gross motor deficits. 9 20 U.S.C. § 1415(b)(3). 10 C.H. v. Cape Henlopin School Dist. (3d Cir. 2010) 606 F.3d 59, 70. 11 Curriculum Associates, Inc. is a publisher of several types of assessments used to measure children’s skills and academic achievements. The initial Brigance Inventory of Basic Skills was developed by Albert H. Brigance, an educator, and several other test instruments were subsequently developed using his last name. The document recording Student’s test scores did not specify which instrument was used. 12 Many assessments use a standardized scoring system that allows scores to be compared among several different test instruments, even if those instruments come from different test publishers. A standard score between 85 and 115 is considered to be in the below-average to high-average range with most assessments. 14. When Student was initially assessed for special education eligibility in 2002, the school psychologist who conducted the assessment noted some concern about Student’s “high energy level” and its impact on his ability to remain focused in the classroom, and to stay on-task. However, subsequent triennial evaluations in 2005 and 2008 did not reveal concerns in this area that necessitated further assessment. 15. In the IEP of April 25, 2008, the RSP teacher opined that Student was “distracted by peers” when working in the classroom setting, and was better able to complete his work when someone worked with him one-to-one. Further, in the fall of 2008, one of Student’s algebra teachers commented that Student had difficulty “staying focused.” on a questionnaire from his resource specialist teacher (RSP), Barrett Burkett.13 The evidence established that these were just two isolated statements that did not reflect a need for Student to be assessed for attention deficit issues. Rather, as Dr. Friedman credibly testified, Student’s attention deficits tended to occur when he was working on spatially oriented material, a reflection of his visual-motor integration deficit, not of an attention deficit disorder. Dr. Friedman also testified that detailed teaching of organizational skills could help in addressing Student’s spatial issues.14 Dr. Friedman did not testify that Student needed further assessment in the area of attention deficits. Further, the District’s expert, Dr. Pamela Mills, testified persuasively that when she reviewed Student’s previous assessments, there was no indication that further assessment was necessary for either of the two school years in question.15 Accordingly, the evidence did not establish that Student required assessment to determine whether he had an attention deficit disorder during the 2008-2009 and 2009-2010 SYs. 16. Parents seemed to contend during the hearing that Student needed to be assessed for a central auditory processing disorder. Dr. Mills testified that a central auditory processing order is a “new” disorder in the field of special education, and defined this disorder as “the ability of the brain being able to use the information that the ear hears.” However, Dr. Friedman testified that Student can benefit from auditory instruction and there was no evidence presented that Student showed any sign of having a central auditory processing disorder during the school years at issue. Accordingly, the evidence did not establish that Student required assessment to determine whether he had an auditory processing disorder. 13 There was a heavy emphasis placed on students passing the California High School Exit Exam (CAHSEE) at McClymonds. As a result, Student was taking algebra from Ms. Lee (no first name given), and a class named “algebra strategies” that prepared students so they could pass the math portion of the CAHSEE. 14 Dr. Friedman referred to Student’s visual-motor integration problems as “visualspatial difficulties” which affect his ability to manage symbols such as letters and numbers. 15 Dr. Mills is a psychologist and educational consultant. She has a Ph.D. in clinical psychology, an Ed.D. in counseling and psychology, and is certified as a neuropsychologist. She has several credentials from the California Commission on Teaching Credentials, and has nearly 40 years of experience in the field of education. She has been a special education teacher, a school psychologist and an administrator. 17. Dr. Mills testified persuasively that Student did not need further testing during the 2008-2009 and 2009-2010 SYs. There was no evidence that Parents requested Student be assessed in the areas of reading disabilities, attention deficits, and central auditory processing disorder. Further, the evidence established that Student did not need to be assessed in these areas during the time periods at issue. Accordingly, written notice from the District to the Parents refusing to assess in these areas was not necessary. 18. In the case of a child whose behavior impedes his or her learning or that of others, the IEP team must consider, when appropriate, strategies, including positive behavioral interventions, and supports to address that behavior.16 In California, less serious behaviors may be addressed by the development of a behavior support plan (BSP). Sometimes a BSP will be developed following a functional behavior analysis (FBA). However, although Education Code section 56331 references an FBA, there are no other California statutes or regulations related to FBAs and BSPs. 20. Parents contend that the District should have conducted an FAA and developed a BIP to address Student’s behavioral problems during the 2008-2009 and 2009-2010 SYs. The District argues that Student did not have serious behavior problems such that an FAA and BIP were necessary, although he did have attendance issues, which the District contends was the reason he failed so many classes during the 2008-2009 and 2009-2010 SYs. 16 20 U.S.C. § 1414(d)(3)(B)(i); 34 C.F.R. § 300.324; Ed. Code, § 56341.1, subd. (b)(1). 21. Student had a BSP during the eighth grade, the 2007-2008 SY, and possibly in some previous school years. There was no evidence as to what behaviors were addressed by the BSP or what the components of the BSP were. The IEP team decided at the IEP team meeting on April 25, 2008, to discontinue this BSP. 22. Student introduced into evidence two documents titled “Period Attendance Record” for both school years at issue. These documents contain a grid with class periods noted for each day of the school year with notations for each period denoting whether a Student was tardy to a class, absent or suspended, and whether absences were excused or unexcused. Attendance for each period is summarized on the bottom of the form. There was no evidence as to who was responsible for keeping this record, and how Student’s absences and tardies were reported, but it appears to be a computerized form created by the District for each Student. Attendance patterns can be ascertained by examining this document, although their accuracy depends upon the reporting of individual teachers. This evidence established that Student had a tendency to be chronically tardy or absent without excuse from most of his classes. However, his attendance did not become significantly problematic until after the winter break when school resumed on January 5, 2009. Student was rarely absent without excuse for most of a school day. Rather, there were often days when he was marked absent for one period, and present for the next one or two periods, and then absent for another period. For example, although there appears to be a significant number of unexcused absences during fourth, fifth and sixth periods, Student was only absent without excuse from all three periods on eight days. On the remaining days where unexcused absences were reported, he attended at least one of those classes. Further, Student would often remain on campus, although he would be marked absent from class. If a teacher or administrator saw him, he would not always be escorted back to class, but instead taken to a detention room for the remainder of the period. Finally, although Student failed his algebra classes (which occurred during fourth and fifth periods both semesters), he received a C-in his sixth period English class both semesters, which to some extent undermines the District’s assertion that Student received failing grades because he was late or absent from classes. However, tardiness and cutting classes is not “serious” behavior as defined by the IDEA and California law, so an FAA and BIP were not warranted. Student failed to establish a need for such an assessment and plan. Also, Parents never requested an FAA and BIP during this school year. Therefore, the District was not obligated to provide parents with written notice of refusal to conduct a FAA or BIP. 24. There was no evidence that Student’s behavior rose to a level that required an FAA and development of a BIP during the 2009-2010 SY.18 Attendance was still an issue, and a BSP was discussed at the IEP team meeting of September 29, 2009. However, there was no evidence that such a plan was incorporated into the IEP. Student was suspended from class at least twice during that school year, once for having a cell phone turned on in school, and another time for failing to make up missing detention for tardies and unexcused absences. There was also some testimony about an altercation between Student and another classmate that may have resulted in suspension. However, none of these transgressions were serious enough to warrant an FAA and development of a BIP. 25. Although Student might have been helped by an FBA and development of a BSP to address his tardiness and absences, this was not an issue at hearing. Rather, Student argues that he required an FAA and BIP. However, chronic tardiness and absenteeism are not behaviors that meet the criteria for being “serious,” as defined by regulation. Further, Dr. Friedman testified persuasively that based on his review of records, and interviews of Student and Father, it did not appear that Student required an FAA or BIP. In addition, Parents never requested an FAA or BIP. Accordingly, Student failed to establish a need for such an assessment and plan. Therefore, the District was not obligated to provide Parents with written notice of refusal to conduct a FAA or BIP. 26. To determine whether the District offered Student a FAPE, the analysis must focus on the adequacy of the District’s proposed program. If a program is designed to address student’s unique educational needs and is reasonably calculated to provide him some educational benefit, then the school district has provided a FAPE, even if a student’s parent preferred another program. 27. Federal and state law specify in detail what an IEP must contain. Among other things, it must contain a statement of measurable annual goals designed to: (1) meet the individual’s needs that result from the individual’s disability to enable the pupil to be involved in and make progress in the general curriculum; and (2) meet each of the pupil’s other educational needs that result from the individual’s disability. 18 The “Period Attendance Report” for the 2009-2010 SY ends in April 2010, because this was when the record was provided by the District to Student’s then-attorney in response to a request for records. 28. During the hearing, Student contended that the IEP of April 25, 2008, was not his annual IEP; that the District was obligated to convene a new IEP team meeting at the beginning of the 2008-2009 SY to design an appropriate IEP; and that failure to do so obligated the District to provide Parents with prior written notice of its intent not to do so. This failure to provide prior written notice, according to Parents, resulted in a denial of FAPE and educational benefit to Student, and also significantly impeded Parents from meaningful participation in the IEP process. 29. The IEP team meeting of April 25, 2008, occurred at Student’s middle school towards the end of his eighth-grade year. All participants knew he was beginning high school as a ninth grade freshman in August of the 2008-2009 SY. At the time of the April 25, 2008 IEP team meeting, Parents were uncertain as to whether Student would be attending a District school for the 2008-2009 SY. He had applied to a private high school with a reputation for producing state championship football teams, and Student had been playing on youth football teams for several years. There was, however, some indication at the IEP team meeting that Student might be attending high school at the McClymonds Educational Complex in the District, as several family members had attended high school on the McClymonds campus in the past, including Parents and two older brothers. 30. The IEP of April 25, 2008, is presumed to meet all statutory requirements. Student filed his complaint on August 9, 2010, so the two-year statute of limitations began to run on August 10, 2008.19 Therefore, an in-depth review of the April 25, 2008 IEP is not necessary since the IEP was developed prior to the two-year statute of limitations governing this case, and no evidence was presented that would permit the statute of limitations to be waived. This was the IEP that was to be in effect from April 25, 2008, through April 24, 2009, the IEP that governed Student’s ninth grade year until a new annual IEP was formulated on or before April 25, 2009, or it was modified through the IEP process. 31. Parents testified persuasively that they were told at the April 25, 2008 IEP team meeting, that if Student was going to attend a District high school, such as McClymonds, they should meet with the IEP case manager at the beginning of the 2008-2009 SY to discuss Student’s IEP and needs, with the implication that changes to the IEP might need to be made. However, the evidence did not establish that Parents were told an IEP team meeting would be convened at the beginning of the 2008-2009 SY. Further, there is no information reflected in the IEP of April 25, 2008, that Parents were to meet with Student’s case manger when he began high school, and that an IEP team meeting would then be convened. Instead, the IEP noted that Student’s next annual IEP date was April 25, 2009. Further, the evidence did not establish that the District agreed to convene a formal IEP team meeting at the beginning of the 2008-2009 SY, so that a new IEP could be developed if Student attended a District high school, or that Parents requested another IEP team meeting.20 The evidence established that, no IEP team meeting was to be scheduled at the beginning of the 2008-2009 SY. Therefore, prior written notice did not need to be given to Parents when the District failed to convene an IEP team meeting at that time. 32. It was unclear at hearing why Parents believed the District failed to develop an appropriate program for Student for the 2009-2010 SY. Student’s RSP teacher, Kristen Eschner, was a credentialed special education teacher, and she developed the draft IEP. Student was to spend 50 minutes each day receiving RSP services from Ms. Eschner. The District was also to provide collaboration between Ms. Eschner and Student’s teachers in all subjects. As accommodations and modifications, Student was to be given on-task reminders and verbal encouragement in the classroom, and testing accommodations that included testing individually and in a small group, questions read aloud, and extended time for testing. Student was to have access to the Learning Center on the Best campus to work on IEP goals and assignments. 34. There was evidence that a BSP was developed to address Student’s attendance issues and was included in the draft IEP, but the evidence was unclear as to whether Parents agreed to the BSP, and whether it was adopted as part of the IEP. Parents were both present at the September 29, 2009 IEP team meeting, and they were very vocal about their disappointment that Student’s IEP had not been adhered to the previous school year. Notes from that IEP team meeting indicate that that District personnel attending this meeting acknowledged that there was a serious problem that needed to be addressed at a higher level than at the school site. With the possible exception that the BSP addressing attendance was not included in the IEP, the IEP of September 29, 2009, appears to have been appropriate, if it had been implemented. 20 Although Parents testified that they had requested a meeting with Student’s teachers several times, it became clear that they did not make a definitive request for an IEP team meeting either verbally or in writing. 21 This annual IEP team meeting should have been held in the spring of 2009 and was untimely, as will be discussed in another part of this Decision. 22There was no evidence as to the distance between the Best and Excel campuses, although they were completely separate schools, each with its own administration, faculty and student body, so it is likely that the Best Learning Center was located some distance from the Excel campus. 35. When a school district does not perform exactly as called for by an IEP, the district does not violate the IDEA unless it is shown to have materially failed to implement the child’s IEP. A material failure occurs when the services provided to a disabled child fall significantly short of those required by the IEP. A brief gap in the delivery of services, for example, may not be a material failure; in addition a brief delay in the commencement of related services may be justified, depending upon the circumstances giving rise to the delay. 36. Student contends that the IEP of April 25, 2008, was not implemented by the District, and Parents should have been given prior written notice that the IEP was not being implemented. 37. The IEP of April 25, 2008, called for Student to receive “push-in” RSP services for 50 minutes each school day. This means the RSP services were to be provided to Student in his general education classrooms. The IEP did not specify when, during the school day, these services were to be provided. Also, the RSP teacher was to collaborate with Student’s teachers in all subjects. Student was also entitled to take tests in a small group setting, or individually, which meant he would be tested in the Learning Center (the RSP classroom), and he was entitled to extended time on both state and classroom tests. He was also able to use an arithmetic table for math tests. 38. Student’s IEP of April 25, 2008, contained six goals, two in math, two in reading, one for writing and one for organization. With the exception of one math goal, Student’s general education teachers, Parents and the RSP teacher were responsible for helping Student to meet these goals. Only the RSP teacher and the general education teacher were responsible for a math goal which required Student to break down math problems into smaller steps when the problems had multiple steps. 39. As previously noted, Parents believed they were obligated to meet with Student’s IEP case manager when Student began attending McClymonds in August 2008. The case manager was Mr. Bluestone, the RSP teacher at Excel.23 Mother made several telephone calls in an attempt to meet with Mr. Bluestone, but none was returned. It was unclear whether she ever spoke to him, even if just to arrange a meeting, and it was also unclear if Mr. Bluestone was even present on campus from the beginning of the school year until he was replaced in mid-October 2008. At one point Mother went to the school and met with the principal, who agreed to set up a meeting with Student’s teachers and Mr. Bluestone, but only two teachers and the principal and vice principal came to the meeting. 23 Mr. Bluestone’s first name was not given by any of the witnesses, nor was it reflected in any of the documentary evidence admitted at the hearing. 40. Mr. Barrett Burkett replaced Mr. Bluestone in mid-October 2008. He was working on his master’s degree in special education and was a teaching intern for the 2008-2009 SY. He ultimately received his special education credential in December 2009. Shortly after Mr. Burkett replaced Mr. Bluestone, he spoke to Mother on the telephone, and also met with Father. He also addressed all of the Excel teachers at a staff meeting to explain to them that he was taking over from Mr. Bluestone, and to let them know the names of the special education students on his caseload. Mr. Burkett also gave those general education teachers information about the types of modifications and accommodations they could implement in their classrooms to better teach the students with IEPs. No evidence was presented as to whether Mr. Burkett ever met individually with all of Student’s general education teachers during the 2008-2009, although he did testify that he had contact with Ms. Lee, Student’s algebra teacher, and with Student’s English teacher. 42. When Mr. Burkett spoke on the telephone to Mother shortly after he arrived at Excel, her greatest concern was with problems Student was having in his fourth period Algebra class with Ms. Lee. Although the attendance records reflect that Student had no tardies or absences in that class for the first grading period of the 2008-2009 SY, he still received an F, which contradicts the District’s assertion that Student’s failing grades were the result of poor classroom attendance. After speaking with Mother, Mr. Burkett decided to provide his push-in RSP services to Student in algebra. Parents were aware of this decision, and agreed to it. However, Mr. Burkett’s duty as a special education teacher was not to acquiesce to parents’ well-meaning requests, but rather to implement Student’s IEP so as to afford him a FAPE. 43. Mr. Burkett testified that he began pushing into Student’s fourth period algebra class taught by Ms. Lee at the beginning of November 2008. However, according to Mr. Burkett, Student rarely attended this class, and therefore Mr. Burkett could not assist Student with Algebra as a push-in service. Mr. Burkett testified that after several no-shows by Student in his fourth period class, Mr. Burkett would wait for Ms. Lee to call him to say that Student was in class, and then he would go to her classroom to deliver RSP services. After a few weeks, because Student was purportedly absent for most of his fourth period algebra classes, Mr. Burkett testified that he decided Student should report to the Excel Learning Center during the fourth period to work on algebra, and Mr. Burkett ceased going to fourth period algebra, even when Student did attend that class. 24 Advisory/Leadership was a class where students were taught life skills, assisted in researching post-secondary opportunities, and given training in leadership skills and opportunities for volunteer work in both the community, and at school. 25 When grades are discussed in this decision, plusses and minuses will not be included. 44. Mr. Burkett’s testimony about Student’s absences from fourth period algebra class is not supported by the record. From November 3, 2008, until Thanksgiving week, which began on November 24, 2008, Student was marked absent only on November 6 and 10, 2008, and was never tardy to fourth period during that time span. After school resumed on December 1, 2008, and until winter break began on December 20, 2008, Student was absent from fourth period only on December 19, 2008, and never tardy during that time. A pattern of more frequent absences and tardies in fourth period began when school resumed after winter break on January 5, 2008. It continued to the end of the school year, with the largest number of missed classes occurring between the end of March 2008, and the last week of the school year, which ended on June 11, 2008. 45. Based on Mr. Burkett’s testimony, one could infer that when Mr. Burkett began pushing into fourth period algebra, in early November 2008, Student was absent at least two or three times per week. However, this was not the case. Even when Student’s absences increased after the winter break, Student was absent or tardy 35 times to his fourth period algebra class, which averages out to one or two absences a week, and there a few weeks when he was neither absent or tardy. There was only one week in January 2009, two weeks in April 2009, and one week in May 2009, when Student missed fourth period algebra three times in a single week. The record therefore shows, contrary to the District’s position, that for much of the year, especially in the fall, Student did attend fourth period algebra class fairly regularly. 46. There are two reasonable explanations of Student’s chronic attendance problems in his two algebra classes, but particularly his fourth period class where Mr. Burkett was pushing in RSP services. The District argues that Student simply was not motivated to attend class at various times of the day, and that is why he failed both algebra classes, and other classes. The other explanation flows from Parents’ and Brother’s testimony: Student simply believed that he could not succeed in those classes, regardless of what help he was given, and therefore, did not bother to attend. If Mr. Burkett did push in to Student’s fourth period algebra class every day from early November to winter break, when Student was not exhibiting attendance problems of any significance, and Student was still receiving only F’s in algebra at the end of each marking period and the end of the first semester, the second explanation for Student’s attendance problems seems more likely. Further, if Mr. Burkett was only addressing Student’s problems in algebra, and not working with Student to assist him in other classes, this would also explain Student’s frustration, which led to poor attendance and failures in other classes as well. Finally, if Mr. Burkett did not begin pushing in to fourth period algebra until after winter break, when Student’s attendance flagged, Student may not have received any RSP services from Mr. Burkett until the beginning of January 2009. 47. Mr. Burkett’s decision to have Student come to the Learning Center during fourth period was a change of RSP services from push-in to pull-out. It was a significant change in services that was not authorized by the IEP. It should have necessitated at least an addendum to the IEP of April 25, 2008, and it required prior written notice, which was not given. 48. Student did not go to the Learning Center after this change in RSP services. Instead he would either go to his fourth period algebra class, or cut that class. The only reason Student went to the Learning Center was to take a test. Student’s reluctance to interact with Mr. Burkett was explained by testimony from Parents and Mr. Burkett: there had been some sort of dispute between Student and the RSP teacher, and as a result of this dispute, Student did not want to interact with Mr. Burkett in any way.26 There was no evidence that either Mr. Burkett or the District did anything to address this problem, which also contributed to Student’s not receiving RSP services during the 2008-2009 SY. 49. Mother testified that she spoke or otherwise communicated with Student’s general education teachers several times after Mr. Burkett came to Excel. Frequently, when she tried to remind them that Student had an IEP and needed accommodations and modifications, the teachers would respond by saying they forgot about Student’s IEP status (such as after Student failed a test which he took in the general education classroom with his peers), or they questioned whether Student had or needed an IEP since he did not present as a pupil with a disability. 50. Other than pushing in to Student’s fourth period algebra class, and then changing that service to pull-out; meeting with Student and his father to discuss Student’s attendance issues; and attending a meeting in late April 2009 with Mother and a few of Student’s teachers, there was no evidence that Mr. Burkett took action to actively collaborate with Student’s teachers about specific curriculum modifications, or the accommodations and modifications that were included in the IEP. Mr. Burkett testified that he did confer with Ms. Lee about giving Student fewer problems to work on each day, but Ms. Lee told him she did not think that Student needed such an accommodation, so Student continued to receive the same work as his peers in that class. When Ms. Lee completed a questionnaire from Student’s 2009-2010 RSP teacher in early September 2009 for the upcoming IEP team meeting, in response to a question about what “modifications [needed to be] made to assist the student,” she replied: “None—not sure what he needs.” This is a clear indication either that she had little collaboration with Mr. Burkett during the previous school year, or that their collaboration was inconclusive and ineffectual. This is particularly troubling since two of Student’s six IEP goals were in math, and neither was met. 51. Mr. Burkett also testified that he met with Student’s English teacher once to discuss a major classroom project concerning a novel the students had read. According to Mr. Burkett, the teacher agreed that Student could make an oral rather than written presentation, but it appeared that all of the pupils in the class had the option of making an oral presentation. 52. Mr. Burkett did little to address Student’s attendance issues. He did meet with Student to discuss how his absences and poor grades could affect his ability to obtain a football scholarship to a college or university, but Student’s attendance did not improve after this meeting. He also met with and spoke to Father a few times, but still nothing changed. Finally, a meeting was convened at the end of April 2009 to discuss Student’s attendance. Mother attended, as did Mr. Burkett, three of Student’s teachers, the principal of Excel, and the vice principal. At this meeting Student’s attendance was addressed, and the participants discussed ways to improve his attendance. Mother asked that academic testing be done before she would commit to a proposed remedy for his absences. However, this testing never occurred. There was no evidence that the District took formal action, such as convening a Student Attendance Review Board, as authorized by Education Code sections 48260 et seq. to address Student’s chronic truancy. 53. Student received three F’s at the end of his first semester in ninth grade: one in Ms. Lee’s algebra class, another in his algebra strategies class, and the third in his eighth period study skills class.27 Student also received final grades of F in all of these classes at the end of the second semester when the school year ended, as well as in his first period African-American history/culture class, and his media studies class. He received C’s in physical education (PE), and Advisory, and English, a class in which the number of his absences was the same as in algebra, refuting the District’s argument that Student’s poor grades were due simply to poor attendance. 54. In preparation for Student’s annual IEP team meeting, which was held on September 29, 2010, Student’s tenth grade RSP teacher, Kristen Eschner, conducted academic testing of Student on September 24, 2009, using the WRAT-4. Student received a standard score of 99 in word reading, an increase of 15 points from his April 2008 score in word reading, which is the ability to correctly read and understand individual words. However, on the sentence comprehension component of the WRAT-4, Student’s score increased just one point from 85 from the April 2008 testing to 86 from the September 2009 testing. In math computation, Student’s score increased from 78 in April 2008 to 83 in September 2009, and in spelling his score dropped from 89 in April 2008 to 86 in September 2009. According to Dr. Mills, there is a margin of error on the WRAT-4 of five points on the standard scale if scores decrease and six points if they increase. The scores Student received when tested in September 2009, reflected that he made little or no academic progress during the previous school year, except in word reading. 26 The evidence did not establish that Mr. Burkett acted inappropriately during this dispute. 27 It was never clear what “study skills” class was. The same is true of “study hall,” to which Student was assigned during his tenth grade year. According to Brother, study hall was a period where a student was assigned to a specific classroom with other students, and it was a time to work on assignments from all classes. 55. In one portion of the IEP from September 29, 2009, Ms. Eschner indicated via checkmarks on each of the six goals from the April 25, 2008 IEP, that Student had met three of his six goals. However, in her narrative on another page, it is apparent that Student had only met one of his two reading goals; had made progress on, but not met two writing goals; and had not met his math goals or made progress on them. It was unclear how Ms. Eschner measured and determined Student’s progress on the reading and writing goals. Although the determination of whether a special education student has received educational benefit is not entirely dependent on whether he has made progress, met goals, or received passing grades, these are all factors to be considered in making that determination. 56. Student has average to above average cognition. As a result, one would anticipate an increase of more than a few points in Student’s academic testing standard scores from year to year if he was receiving appropriate special education services, as the gap between his skills and abilities in comparison with same-aged typical peers would be narrowing. With the exception of word reading, that did not happen during the 2008-2009 SY. To graduate from Excel, Student is required to complete 230 credits. At the IEP team meeting on September 29, 2009, it was reported that he had only accumulated 25 credits his freshman year. Accordingly, the evidence established that Student received minimal educational benefit during the 2008-2009 SY. 57. The evidence summarized above established that for most, if not all of the 2008-2009 SY Student received little, if any, of the RSP services called for in his IEP, including collaboration of the RSP teacher with all of Student’s other teachers, and RSP push-in services for 50 minutes each school day. Had Parents been provided with prior written notice that Student was not receiving these services, it is probable that they would have requested an IEP team meeting, and worked with the IEP team to ensure that Student received appropriate services that would meet his unique needs, and permitted him to receive educational benefits and a FAPE for the 2008-2009 SY. 58. When Student entered tenth grade at the beginning of the 2009-2010 SY, the IEP of April 25, 2008, was still operative, until the IEP team meeting of September 29, 2009, when Parents agreed to the District’s offer of special education. During the summer of 2009, Brother had entered an intern program, with the intention of becoming a special education teacher. He was assigned to Excel, and initially Student was part of his caseload. However, the administration changed the configuration of the Special Education Department on the McClymonds campus, and Brother became the teacher of a special day class (SDC) for mild to moderately disabled students at Excel. Ms. Eschner, who was a resource teacher at Best became Student’s RSP teacher and case manager. 59. Student began the school year taking world history, biology, geometry, Spanish, media studies, and English with a study hall and Advisory for his seventh and eighth periods. At the end of the first grading period, six weeks into the school year, he had four B’s, three C’s and an A in Advisory. Although he had 13 tardies in his first period world history class, this was probably due to his arriving to school late because he lived some distance away and was driven to school by one of his parents. His report card and the attendance record reflected one to five absences in each of his eight class periods, with an increase seen during the fifth and sixth week of the grading period. 60. At the end of the first semester, Student had four C’s, three F’s and two A’s, one in life skills, and the other in Advisory. One of Student’s F’s in the first semester of the 2009-2010 SY was in Spanish. As a result, he dropped Spanish, and he was placed in a “study hall” in Brother’s SDC for that period. This was Brother’s “prep” period. During this study hall period, Brother would help Student with his class work, primarily in English and biology, as well as with a small amount of geometry work.28 Brother spent much of the time helping Student to complete a research paper for English that required organization and internet research. Brother assisted Student in formulating an outline for the project, and read aloud information found on various internet sites. The evidence established that Brother was not Student’s RSP teacher, nor was he providing RSP services or working on Student’s IEP goals. However, by working one-to-one with Student, Brother assisted Student in completing his assignments, and made sure they were correct. 61. Although Student was to receive 50 minutes each day of RSP services in the Learning Center with Ms. Eschner, there is nothing on his transcripts or report cards that shows he went to the Learning Center to work on goals and to get assistance with class assignments and projects. In fact, there are no grades on either the transcript or report cards from that year that would show that he was receiving RSP services. Ms. Eschner’s name does not appear on any of those documents, although the names of his general education teachers, and Brother do. Parents and Brother testified that Ms. Eschner “did the best she could,” but since there was no regularly assigned period during which Student was required to go to the Learning Center, the evidence established only that Student would go there for some testing, as required by his IEP. 62. As in the previous school year, Parents continued to encounter resistance when they tried to explain to general education teachers that Student had an IEP and was entitled to accommodations and modifications in their classrooms. Witnesses described Student as popular and a leader, and teachers seemed to think that his failure to complete class work and attendance problems were simply due to a lack of motivation, and that he was perfectly capable of doing the same work as his peers, with the same level of instruction. The evidence established that Student had a specific learning disability that impacted his ability to access the general curriculum, and therefore he was entitled to accommodations and modifications that he did not receive, as well as RSP services. 63. The attendance records presented by student for the 2009-2010 SY end on April 19, 2010, the date on which they were apparently provided to an attorney who had requested them on behalf of Student. However, by that time, Student had exceeded, in 139 school days, the cumulative record of tardies, unverified and unexcused absences and suspensions reported for the entire 180 days of the 2008-2009 SY. 64. Student received C’s as final grades for the second semester of the 2009-2010 SY in all of his academic classes. He received an A from Brother in study hall, and an F in his Advisory class. Although Parents and Brother believed that teachers inflated Student’s grades because the principal had received a letter from an attorney asking for Student’s records in April 2010, there was no evidence that this occurred. It is more likely that Student’s grades improved because of the help he received from Brother in study hall, and because teachers were becoming more aware, as the school year progressed, that he had an IEP and was entitled to accommodations and modifications. 65. However, in spite of improved grades for the second semester of his tenth grade year, Student made progress only on his reading goal, and did not meet his two math goals or his one writing goal. Further, although his reading word score on the WRAT-4 remained 99, and his sentence comprehension score increased three points to 89, his spelling score dropped seven points to 79, and his math scores also dropped significantly. When initially tested on September 28, 2010, Student’s math computation standard score was 55, a decrease of 18 points. He was then administered another version of the math computation section of the WRAT-4, and his standard score was 76, still a decrease of seven points from his standard math computation score the previous school year. 66. The District argues that because Student passed the English portion of the CAHSEE in October 2009, and the math portion in March 2010, this establishes that the District provided him with a FAPE and educational benefit. However, the evidence established that Student was required to take several classes during the 2008-2009 SY, and the fall semester of the 2009-2010 SY, specifically designed to teach Students strategies to ensure they would pass the CAHSEE. 67. The evidence established that, as in the 2008-2009 SY, the District failed to provide Student the RSP services called for in his IEP during the 2009-2010 SY. Parents were not given written notice of the District’s intent not to deliver these services, and as a result Student was denied a FAPE and educational opportunity, and Parents were significantly impeded in participating in the IEP process. 28 According to Dr. Friedman, Student’s difficulty with symbol recognition would cause him much greater difficulty in an algebra math course than in geometry. 68. Student contends that he was denied a FAPE during the 2008-2009 and 2009-2010 SYs because the District failed to assess him in the areas of attention/ executive functioning and sensory motor deficits. As previously discussed in Factual Findings 13 and 15, the evidence did not establish that Student needed further assessment in the areas of attention/executive functioning, or sensory motor deficits. Accordingly, he was not denied a FAPE because he was not assessed in these areas. 69. An IEP team meeting must be convened at least annually, and can be convened at the request of a teacher, parent, or other service provider who perceives a need for another IEP. The IEP team meeting of April 25, 2008, resulted in the development of an annual IEP. The District was obligated to convene an annual IEP team meeting no later than April 25, 2009, and it did not do so. Instead, Student’s annual IEP team meeting was convened on September 29, 2009, several weeks after the beginning of the 2009-2010 SY. There was no credible explanation as to why this annual IEP team meeting was untimely, and as a result, Student was denied a FAPE for at least the last seven weeks of the 2008-2009 SY, perhaps more as is discussed in Factual Finding 72 below, and the first four weeks of the 2009-2010 SY. 70. Mr. Burkett testified that he had begun the IEP process in the spring of 2009, by sending out questionnaires to Student’s teachers to gather information to be used in preparing the IEP draft documents. However, a close review of the documents that Mr. Burkett identified as being sent out in the spring of 2009 reveals that they were actually sent to teachers shortly after Mr. Burkett arrived at Excel in October 2008. When Robbin McCulloch, Student’s media arts and Leadership teacher, completed the forms, she stated that she had known Student just 14 weeks. Ms. Lee stated that she had known Student just 12 weeks when she completed the form. Both teachers taught Student from the beginning of the 2008-2009 SY. Had they completed the documents in the spring of 2009, they would have stated they had known Student several months. There was evidence that an IEP team meeting was scheduled for the first or second week in June 2009, but even then, the meeting was several weeks late. Mr. Burkett testified that this IEP team meeting was canceled because he was in a traffic accident the day before and could not attend. 71. There was a meeting at the end of April 2009, that was attended by Mr. Burkett, Mother, the principal and vice principal of Excel, and several of Student’s teachers. However, the District conceded that this was not an IEP team meeting, but rather a meeting to discuss Student’s attendance problems. During this meeting Mother asked that the District conduct academic testing on Student, and told the IEP team that she did not want to proceed further until that testing was completed. The evidence established that this type of testing can be completed in one day. However, this testing was not completed until September 24, 2009, when Student was administered the WRAT-4 by Ms. Eschner. 72. It is also troubling that an IEP team meeting was not convened in February 2009, because Student, at that time, had failed three classes in the first semester, which had ended in late January, and developed serious attendance problems upon his return from winter break on January 5, 2009. There was no question that Parents were extremely concerned about their son, and the evidence established that both were contacting teachers, Mr. Burkett, the school principal, and other District personnel frequently during both the 2008-2009 and 2009-2010 school years and expressing concern about Student’s failing grades and attendance. Under the circumstances, Mr. Burkett, as Student’s IEP case manager, should have convened an IEP team meeting in February 2009, but he did not. 73. Student’s failing grades and lack of progress on goals demonstrates that he was denied a FAPE from at least February 2009 through September 29, 2009, because the District did not hold timely IEP team meetings. 74. As previously discussed, Student’s annual IEP team meeting was held on September 29, 2009, at least five months after it should have been held. The evidence was inconclusive as to whether Student received any push-in special education services for the first four weeks of the 2009-2010 SY, as called for in the IEP of April 25, 2008, which was operative at this time. Because Student did not meet the goals in that IEP, it is likely that if the annual IEP team meeting had been timely, he would have begun the new school year with RSP services in place, strategies to address attendance issues, and goals that would help him to make progress in his general education classes. This did not happen because the annual IEP team meeting was untimely. Although Student ended the first six-week grading period of the 2009-2010 SY with an A, B’s and C’s, his attendance began to falter during the fifth and sixth weeks of the school year. He ended the first semester of that SY with three F’s, four C’s, and one A. Accordingly the evidence established that Student was also denied a FAPE for the 2009-2010 SY because the September 29, 2009 IEP team meeting was untimely. 75. As previously discussed, other than poor attendance because he was sporadically cutting class, Student did not provide evidence of other maladaptive behaviors that needed to be addressed by an FAA and development of a BIP. There was evidence that Student was suspended for using a cell phone at school, getting into an altercation with a peer, and missing detention in the 2009-2010 SY, but again, these are not maladaptive behaviors that would warrant an FAA and BIP. The evidence did not establish that the District denied him a FAPE because it did not conduct an FAA and develop a BIP in the 2008-2009 and 2009-2010 SYs. 76. As previously discussed, Student received services from a District program utilizing Lindamood Bell reading instruction in elementary school. This type of instruction is multi-sensory, and Student received it in grades three and four, and possibly for the latter part of second grade. The evidence established that he received great benefit from this program, and he made excellent progress in all areas of need: reading, writing, spelling and math. However, there was no evidence that Student required this type of reading instruction to receive a FAPE for the 2008-2009 and 2009-2010 SYs, and according to Dr. Mills, this type of reading instruction is not usually effective with high school students. Student improved greatly in word reading during the 2008-2009 SY, and this was apparently without any reading instruction. Accordingly, Student did not establish a need for this type of reading instruction, and failure to provide him with it did not deny him a FAPE. 77. “Transition services” means “a coordinated set of activities for an individual with exceptional needs” that: (1) is designed within a results-oriented process that is focused on improving the academic and functional achievement of the individual with exceptional needs to facilitate the movement of the pupil from school to post-school activities, including postsecondary education, vocational education, integrated employment, including supported employment, continuing and adult education, adult services, independent living, or community participation; (2) is based upon the individual needs of the pupil, taking into account the strengths, preferences, and interests of the pupil, and (3) includes instruction, related services, community experiences, the development of employment and other postschool adult living objectives, and, if appropriate, acquisition of daily living skills and provision of a functional vocational evaluation.29 The failure to properly formulate a transition plan may be a procedural violation of the IDEA that warrants relief upon a showing of a loss of educational opportunity or a denial of a FAPE. 78. Beginning not later than the first IEP to be in effect when a child with a disability turns 16, and updated annually thereafter, the IEP must include appropriate measurable post-secondary goals related to training, education, employment, and, where appropriate, independent living skills. 80. Student required a transition plan in the IEP of September 29, 2009, because he would be turning 16 during the 2009-2010 SY. Student contends that the District failed to develop an appropriate transition plan for this IEP. The crux of this contention is that the transition plan in this IEP states that Student’s goal is to attend the University of Miami upon graduation from high school. Parents contend that because Student was entering the tenth grade with a grade point average (GPA) of 1.375, and had only completed 25 of the 230 credits he needed to graduate with a high school diploma, this was an unrealistic goal. 29 20 U.S.C. § 1401(34); Ed. Code, § 56345.1, subd. (a). 30 There was some testimony at hearing that Student should have been provided with a plan to transition him from middle school to high school in the April 25, 2008 IEP, but this was not an issue in the complaint, or developed during the PHCs that were held, and therefore will not be addressed. 81. Although Student had a very low GPA, and was not on track to graduate from high school in 2012 at the end of the 2008-2009 SY, a goal of attending college was not unrealistic. Student has several family members who have attended and graduated from college, including Brother. Parents made it very clear when testifying that they expected Student to attend college, and because Student has at least average to above average cognition, it is not unrealistic to expect him to do so. Further, the evidence established that at the time of the September 29, 2009 IEP, Student was doing well in his classes, and it was reasonable to believe that he would attain the necessary credits to put him back on track for graduation, since the Excel class schedule provided Students with the opportunity to obtain 80 credits each school year, not counting classes taken in summer school. 82. The transition plan also contained goals such as obtaining a driver’s license and bank account. Achieving these goals would assist him to live independently and attend college at a great distance from his home. The transition plan also included a short term goal of working with children. Parents contended, and the evidence established, that progress was not made on these goals during the 2009-2010 SY because Student was to be assisted with them by the Workability Program and he did not receive these services during this school year. However, failure to implement the transition plan was not raised as an issue to be determined during this hearing. Accordingly, Student failed to establish that the transition plan in the September 29, 2009 IEP was insufficient and did not comply with the law, and therefore denied him a FAPE. 83. A school district is required to conduct a reevaluation of each child at least once every three years, unless the parent and the local educational agency agree that a reevaluation is unnecessary. 84. Student was due for his triennial assessment in the spring of 2011. Parents did not consent to assessments because of the ongoing litigation, and their lack of faith that the District could conduct a meaningful assessment that would give them a true picture of Student’s strengths and deficits. However, this is not evidence that would alleviate the District’s obligation to conduct the triennial assessment. The evidence established that the District made timely attempts to obtain parental consent to the assessments in the spring of 2011, and filed its request for due process after Parents refused to consent. The evidence established that the District is entitled to conduct its triennial assessment of Student without parental consent. 85. School districts may be ordered to provide compensatory education or additional services to a pupil who has been denied a free appropriate public education. The conduct of both parties must be reviewed and considered to determine whether this relief is appropriate. These are equitable remedies that courts and ALJs may employ to craft appropriate relief for a party. An award of compensatory education need not provide a dayfor-day compensation. An award to compensate for past violations must rely on an individualized evaluation of the individual student’s needs. The award must be reasonably calculated to provide the educational benefits that likely would have accrued from special education services the school district should have supplied in the first place. 86. The evidence established that Student was denied push-in RSP services during the 2008-2009 SY, although his IEP required the District to provide these services. Further, he was denied RSP pull-out services during the 2009-2010 SY. As a result Student did not meet his IEP goals, particularly those in math, in either school year. The evidence established that Student’s math skills seem to have stayed at a fourth grade level since his triennial evaluation in the spring of 2008, and this is concerning since student has at least average to above average cognition, and, according to Dr. Friedman, can benefit from special education services teaching him how to compensate for his visual-motor integration deficits. 87. Although the District argued that Student’s attendance problems were the reason Student failed classes, the evidence established that he still was capable of achieving passing grades even in classes from which he was absent 30 to 40 times in the 180-day school year. Further, although the District argued that Student’s chronic truancy was volitional, the preponderance of evidence showed that Student cut classes in which he was struggling because teachers were not providing him with accommodations and modifications called for in his IEP, and he was not being provided with required RSP services. Further, the evidence established that the District never seriously addressed Student’s attendance issues. Therefore, Student is entitled to compensatory education. 88. To determine the type and amount of compensatory education Student is entitled to, the ALJ has considered that Student did receive a small amount of the RSP services to which he was entitled each of the 2008-2009 and 2009-2010 SYs. Therefore, taking into account the fact that there are 180 days in each school year in question, a 15 percent reduction will be taken, leaving 306 school days on which RSP services were not provided. Student was entitled to 50 minutes of RSP services each school day. Student shall therefore be entitled to a bank of 255 hours of compensatory education to be delivered to him in a one-to-one setting by a credentialed special education teacher who is experienced in working with high school students with specific learning disabilities. The non-public agency providing compensatory education shall be mutually agreeable to the parties, unless Student is willing to have the District provide this service. The bank of 255 hours must be used no later than June 30, 2013. 89. Prior to initiating the compensatory education tutoring, Student shall be assessed, at District expense, to determine what progress he made on the goals from the 2008-2009 and 2009-2010 school years. Initial tutoring shall focus on assisting Student to meet those goals, as well as teaching him strategies to ensure academic success for this school year and beyond. The compensatory education provider shall also provide services to Student that will enable him to be successful in classes both in high school, and in a postsecondary environment, to the extent that compensatory education hours remain. 90. An order providing appropriate relief in light of the purposes of the IDEA may include an award of school district staff training regarding the area of the law in which violations were found, to benefit the specific pupil involved or to prevent procedural violations that may befall other pupils. 91. There was evidence that Excel has had a significant turnover of RSP teachers particularly, and some turnover of general education teachers and administrators. Allison McDonald, a network executive officer for the District who supervises 13 high school principals in the District testified that the District, as a whole, has few teachers in their prime: those with five to 10 years of experience. Based on Student’s experience during the school years at issue, it appeared that many of his general education teachers, particulary during his ninth grade year and the first half of his tenth grade year, often forgot that he had an IEP and sometimes needed the accommodations and modifications in his IEP. As a result, several teachers did not provide Student with necessary accommodations and modifications that were called for in his IEP, such as sending him to the Learning Center when tests and quizzes were administered, and allowing him to be tested orally. 92. It is unknown whether the problems Student experienced were common for other special education students, especially those who were participating in the general education setting for the most part. If the District determines that this is a systemic issue, it is recommended that the District consider providing training to District’s high school teachers to educate them about students with disabilities, especially those with specific learning disabilities, and the types of modifications and accommodations that are commonly found in these students’ IEPs. This training should also inform teachers that they should consult with the RSP teacher about a specific special education student to learn what accommodations and modifications are contained in the IEP, and how best to meet the students’ needs. Further, the District should consider developing a protocol to ensure that all general education high school teachers in the District are notified in writing about the special education students in their classes, and provided with the name of each student’s case manager and contact information. 93. The evidence also established that although Student was entitled to 50 minutes of RSP services during the school day for both school years at issue, the District did not provide him with these services, and did not appear to have procedure in place to ensure that Student actually received these services. However, the evidence did not establish that this is a systemic issue. If the District determines that it is, it is suggested that District high school administrators receive training to ensure that students with IEPs that include RSP support actually receive those services during the school day. Such training should also ensure that if a student is entitled to RSP services and other related services on a regular basis, the times for those services are included on the student’s class schedule. 1. Under Schaffer v. Weast (2005) 546 U.S. 49 [126 S.Ct. 528, 163 L.Ed.2d 387], the party who filed the request for due process has the burden of persuasion at the due process hearing. Student bears the burden of persuasion for the issues contained in his complaint, and the District bears the burden of persuasion for the issue contained in its complaint. 8. In Rowley, the Supreme Court recognized the importance of adherence to the procedural requirements of the IDEA. (Rowley, supra, 458 U.S. at pp. 205-06.) However, a procedural error does not automatically require a finding that a FAPE was denied. A procedural violation results in a denial of FAPE only if it impedes the child’s right to a FAPE, significantly impedes the parents’ opportunity to participate in the decision-making process regarding the provision of a FAPE to the parents’ child, or causes a deprivation of educational benefits. (20 U.S.C. § 1415(f)(3)(E)(ii) Ed. Code, § 56505, subd. (f)(2). ); see W.G. v. Board of Trustees of Target Range School Dist. No. 23 (9th Cir. 1992) 960 F.2d 1479, 1484.). 10. A child must be assessed by a school district in all areas related to the suspected disability. (20 U.S.C. § 1414(A)(2), (3); 34 C.F.R. § 300.304 (c)(4) (2006);31 Ed. Code, § 56330(f).) A proposed assessment plan shall be developed within 15 calendar days of the referral for assessment, not counting calendar days between the pupil’s regular school sessions or terms or calendar days of school vacation in excess of five school days, from the date of receipt of the referral, unless otherwise agreed upon. (Ed. Code, § 56043, subd. (a).). Issue 1 a): For the 2008-2009 and 2009-2010 SYs, did the District violate Student’s procedural rights, thereby denying him a FAPE and educational benefits, and significantly impeding the Parents’ right to participate in the IEP process, by failing to provide Parents with prior written notices when it failed to assess him in all suspected areas of disability, including, but not limited to reading difficulties and attention deficits? 11. As established by Legal Conclusions 2-10, and Factual Findings 3-17, the District did not deny Student educational benefit or a FAPE, nor did it significantly impede Parents from participating in the IEP process, when it failed to provide Parents with written notice that it would not assess him in the areas of reading difficulties and attention deficits. Prior written notice would be required if the District refused to assess Student in an area of need. However, Student failed to sustain his burden of proof on this issue. Student did not establish that he had a need for further assessment in these areas or others during the 2008-2009 SY. There was no evidence that Parents requested that Student be assessed in these areas during that school year, or that the District refused to do so. Accordingly, Student did not prevail on this issue. 31 All subsequent references to the Code of Federal Regulations are to the 2006 version. Issue 1 b): For the 2008-2009 and 2009-2010 SYs, did the District violate Student’s procedural rights, thereby denying him a FAPE and educational benefits, and significantly impeding the Parents’ right to participate in the IEP process, by failing to provide Parents with prior written notice when it failed to conduct an FAA and develop an appropriate behavioral intervention plan BIP? 14. Based on Legal Conclusions 2-10 and 12, and Factual Findings 18-25, the District did not deny Student educational benefit or a FAPE, or significantly impede Parents’ opportunity to participate in the IEP process by failing to provide them with prior written notice when it did not conduct an FAA and develop a BIP. Parents never requested an FAA or BIP. Although there was some evidence that Student’s chronic tardiness and absenteeism might have affected him educationally, the more appropriate remedy would have been an FBA and BSP, but that was not an issue in this matter. Further, there was evidence, in Dr. Friedman’s testimony, that Student did not present as a pupil with behavioral issues requiring an FAA and BIP. There was no evidence that Student exhibited behaviors that were selfinjurious, assaultive, or the cause of serious property damage. He did not exhibit severe behavior problems that interfered with his receiving educational benefit. Accordingly, Student did not prevail on this issue. Issue 1 c): For the 2008-2009 and 2009-2010 SYs, did the District violate Student’s procedural rights, thereby denying him a FAPE and educational benefits, and significantly impeding the Parents’ right to participate in the IEP process, by failing to provide Parents with prior written notice when it failed to design a program to meet his unique needs and provide him with educational benefit? 15. As established by Legal Conclusions 2-9, and Factual Findings 26-31, the IEP of April 25, 2008, was an annual IEP, as well as a triennial IEP, and was the IEP intended to be in effect for the 2008-2009 SY. This IEP was outside the two-year statute of limitations, and Student did not allege facts that would exempt it from the two-year limitation. Therefore Student’s criticisms of the April 25, 2008 IEP cannot be reached here. 16. Legal Conclusions 2-9, and Factual Findings 32-34, establish that the IEP developed on September 29, 2009, was appropriate, and did not deny Student a FAPE. Parents actively participated in that IEP team meeting and were very vocal. Accordingly, the District did not violate Student’s substantive or procedural rights, and did not deny him educational benefits or a FAPE, nor significantly impede Parents’ participation in the IEP process. 17. When a school district does not perform exactly as called for by an IEP, the district does not violate the IDEA unless it is shown to have “materially failed to implement the child’s IEP. A material failure occurs when the services provided to a disabled child fall significantly short of those required by the IEP.” (Van Duyn v. Baker School Dist. 5J (9th Cir. 2007) 481 F.3d 770, 773.) A brief gap in the delivery of services, for example, may not be a material failure. (Sarah Z. v. Menlo Park City School Dist. (N.D.Cal., May 30, 2007, No. C 06-4098 PJH) 2007 WL 1574569, p. 7.) And a brief delay in the commencement of related services may be justified, depending upon the circumstances giving rise to the delay. Issue 1d): For the 2008-2009 and 2009-2010 school years (SYs), did the District violate Student’s procedural rights, thereby denying him a FAPE and educational benefits, and significantly impeding the Parents’ right to participate in the individualized education program (IEP) process, by failing to provide Parents with prior written notices when it decreased special education and related services provided to him? 18. As established by Legal Conclusions 2-9 and 17, and Factual Findings 35-52, the District decreased services to Student during the 2008-2009 SY, and did not provide written notice to Parents. This not only resulted in Student losing educational opportunities and being denied a FAPE, but also resulted in Parents being significantly impeded from participating in the IEP process. The evidence established that the District failed to implement all of Student’s IEP as developed on April 25, 2008, and this resulted in a decrease of services to Student. The evidence was inconclusive as to whether Student received any special education services before Mr. Burkett arrived at McClymonds in mid-October 2008. However, the evidence did establish that Mr. Burkett failed to provide Student with RSP services because he only pushed in to one of Student’s algebra classes, and shortly thereafter stopped doing so due to Student’s attendance issues. He then offered pullout services in the Learning Center which Student declined to access and which were not authorized by Student’s IEP. Because Mr. Burkett did not pursue any other options for providing Student with RSP services, such as considering pushing in to Student’s eighth period study hall, and because Parents were not provided with written notice that Student was not receiving these services, the evidence established that Student lost educational opportunities and was denied a FAPE, and Parents were significantly impeded from participating in the IEP process. 19. As established by Legal Conclusions 2-9, and Factual Findings 53-67, the District once again decreased services to Student by not providing him the RSP services required by the September 29, 2009 IEP, and it did not provide Parents with written notice that it was not doing so. This denied Student educational benefits, and denied Parents significant opportunity to participate in the IEP process. Student’s attendance problems continued during the 2009-2010 SY, and though he had passing grades the first marking period of that SY, his grades then began to fall, and he failed several classes once again. Although Student’s grades improved in the second semester, it is likely that replacing that class in the second semester with a study hall in which Brother was able to work with him one-to-one increased assignment completion, and helped him to raise his grades second semester. However, the evidence established that Student met only one of his four goals in the 2009-2010 SY, and though his word reading score on the WRAT-4 remained the same, and his sentence comprehension score increased by three points, his scores in spelling and math decreased by at least seven points each. Although Student was to have RSP pull out services for 50 minutes each day, it does not appear that the District created a class schedule for Student that would accommodate those services, and they did not occur on a regular basis. As a result, Student was denied a FAPE and received minimum educational benefit in relation to his potential, and the lack of prior written notice to Parents deprived them of significant opportunity to participate in the IEP process. Issue 2a): For the 2008-2009 SYand 2009-2010 SYs, did the District deny Student a FAPE by failing to assess him in all areas of disability, specifically in the areas of attention/executive functioning, and sensory motor deficits? 20. Legal Conclusions 2-8 and 10, and Factual Finding 68 do not establish that Student required testing in the areas of attention/executive functioning, and sensory motor deficits, or that failure to assess him in these areas denied him a FAPE. Although there was some concern in 2002 about his “high energy level,” triennial assessments in 2005 and 2008 did not show this as an area of need. Further, although Mother stated that Student’s handwriting was poor, and he had difficulty tying his shoes, this did not establish a need for a sensory motor assessment. Student is an athlete playing on his varsity football team, and his visual-motor integration deficit makes writing difficult. Further, the evidence did not establish that Student exhibited deficits in these areas in school to any extent, and certainly not to an extent that would create an obligation to assess him in these areas. Accordingly, Student did not meet the burden of proof on this issue. Issue 2b): For the 2008-2009 and 2009-2010 SYs, did the District deny Student a FAPE by failing to hold timely IEP team meetings? 22. Legal Conclusions 2-8 and 21, and Factual Findings 53-55 and 69-73, establish that Student was denied a FAPE from early February 2009 to the end of the 2008-2009 SY due to the District’s failure to hold timely IEP team meetings. The District was required to hold Student’s annual IEP team meeting on or before April 25, 2009, and it did not do so. Further, there was clear evidence that the District knew that Student was failing classes, and had problems with attendance, and that should have alerted the District to the need to convene an IEP team meeting in February 2009, yet it did not act on that information. Further, when Mr. Burkett changed Student’s RSP services from push in to pull out, that triggered a need for an IEP team meeting, yet none was convened. Student’s failing grades, low academic achievement test scores, and lack of progress in meeting his IEP goals for the 2008-2009 SY demonstrate the effect of the District’s failure to hold a timely IEP team meeting. 23. Legal Conclusions 2-8 and 21, and Factual Findings 65 and 74, establish that Student was denied a FAPE for the 2009-2010 SY because IEP team meetings were untimely. As a result, he did not begin the 2009-2010 SY with an appropriate IEP that would address his attendance issues, and provide him with appropriate goals and RSP services. Although Student’s grades were good for the first six-week marking period of that school year, they began falling. Had Student had an appropriate IEP in place at the beginning of the school year, it is much more likely that he would have been more successful that school year than he was. There was evidence that Student only made progress on one reading goal for the 2009-2010 SY, and had not made progress on three others, and his academic testing scores in math and spelling had decreased when he was tested in September 2010. The evidence established that Student was denied a FAPE for the 2009-2010 SY because the September 9, 2009 IEP team meeting was untimely. Student prevailed on this issue as it relates to the 2008-2009 SY, and the 2009-2010 SY. Issue 2c): For the 2008-2009 and 2009-2010 SYs, did the District deny Student a FAPE by failing to provide him with an FAA and BIP? 24. As established by Legal Conclusions 2-10 and 12 and Factual Finding 75, Student did not require an FAA and BIP. He did not have behaviors that rose to the level requiring this type of intervention. Rather, his behaviors concerning attendance, and others described at hearing were fairly typical for an adolescent. Student’s attendance issues, at best, called for a BSP, which, if adopted and not effective, could then have been modified. There was no evidence that Student exhibited serious behaviors that required an FAA and development of a BIP. Accordingly, Student did not prevail on this issue. Issue 2d): For the 2008-2009 and 2009-2010 SYs, did the District deny Student a FAPE by failing to design a program to meet his unique needs and provide him with educational benefit, specifically because it did not provide him with reading instruction? 26. Legal Conclusions 2-8 and 25, and Factual Findings 54, 65 and 76, establish that Student did not require reading instruction during the 2008-2009 and 2009-2010 SYs, so the failure of the District to provide it to him did not deny him a FAPE. Although Student had received this type of instruction in elementary school, he is now in high school, and there was no evidence that he would now benefit from this type of instruction. Further, although he had no specific reading instruction after mid-October 2008, and the evidence is inconclusive about what services Mr. Bluestone might have provided, Student made significant gains in word reading and some gains in comprehension during the 2008-2009 SY. Also, the evidence established that Student’s reading comprehension increased during the 2009-2010 SY, and this was apparently without any reading instruction. Accordingly, Student did not prevail on this issue. Issue 2e): For the 2008-2009 and 2009-2010 SYs, did the District deny Student a FAPE by failing to provide him with an adequate transition plan that would meet his unique needs? 30. As established by Legal Conclusions 27-29, and Factual Findings 77-78, Student did not require a transition plan for the 2008-2009 SY, because he would not be turning 16 during that school year. Accordingly, Student did not prevail on this issue. 31. As established by Legal Conclusions 27-29, and Factual Findings 79-82, in the 2009-2010 SY the District did provide Student a transition plan that met his unique needs and complied with all legal requirements. The September 29, 2009 IEP’s transition plan addressed the fact that he wanted to go to college, and although the specific name of a college was used, that does not render the transition plan invalid. The goals in the transition plan were reasonable goals for a young man who would be going to college and leaving home to do so, i.e., getting a driver’s license and opening a bank account. Further, the short-term goal of working with children was also addressed. Accordingly, the District prevailed on this issue. Whether the transition plan was actually implemented was not an issue set forth in the complaint and cannot be decided here. 34. Legal Conclusions 10 and 32-33, and Factual Findings 83-84, establish that the District is entitled to conduct a triennial assessment of Student without obtaining parental consent. The District timely requested consent from Parents for this assessment in the spring of 2011, and when Parents did not consent because they lacked faith in the District’s ability to properly assess Student, the District filed its complaint. Parents’ lack of faith is not grounds for denying the District’s request. The District is entitled to have this assessment done. Accordingly, an order to assess Student without parental consent shall be made. If Parents do not make Student available for assessment, the District may exit Student from special education. 36. Legal Conclusions 2-8, and 18-19, and Factual Findings 85-89, establish that Student is entitled to compensatory education. The evidence established that Student was denied RSP services for both the 2008-2009 and 2009-2010 SYs. He did not meet his math goals either year, nor did he meet several other goals. Had he received appropriate RSP services, he would certainly have met most, if not all of his IEP goals, and would have been far more likely to pass most, if not all, of his classes. The District’s argument that Student’s attendance problems were the cause of him failing classes and not meeting his IEP goals was not persuasive. The evidence established that Student cut classes because he was struggling in those classes due to the fact that he was not being provided with the services, accommodations and modifications called for in his IEP. Accordingly Student is entitled to 255 hours of compensatory education, as explained and detailed in Factual Finding 88. 38. As established by Legal Conclusions 37 and Factual Findings 90-93, the evidence was insufficient to support an order for District-wide training. The evidence established that general education teachers were not consistently providing Student with the accommodations and modifications to which he was entitled. Further the evidence established that the District’s administrative staff did not provide Student with a class schedule that would permit him to receive the RSP services to which he was entitled. However, the evidence did not establish that this was a systemic problem in the District. Although suggestions for training are contained in Factual Findings, they are merely suggestions, and shall not be ordered. 1. The District shall fund 255 hours of compensatory education for Student to be provided by a mutually agreeable certified non-public agency (NPA), unless Parents agree to have the District provide that service. The 255 hours must be used by June 30, 2013. 2. The compensatory education shall be one-to-one tutoring to be provided by a credentialed special education teacher who is experienced in working with students who have specific learning disabilities. 3. Prior to initiating the tutoring, the District shall fund an assessment of Student by the NPA (or District personnel if the family agrees) to determine what progress he made on the goals from the 2008-2009 and 2009-2010 school years. Initial tutoring shall focus on assisting Student to meet those goals, as well as teaching strategies to ensure academic success for this school year and beyond. The compensatory education provider shall also provide services to Student that will enable him to be successful in classes both in high school, and in a post-secondary environment, to the extent that compensatory education hours remain. 32 However, this shall not negate the award of compensatory education. Education Code section 56507, subdivision (d), requires that the hearing decision indicate the extent to which each party has prevailed on each issue heard and decided. Student prevailed on issues 1d and 2b. The District prevailed on issues 1a, 1b, 1c, 2a, 2c, 2d and 2e.